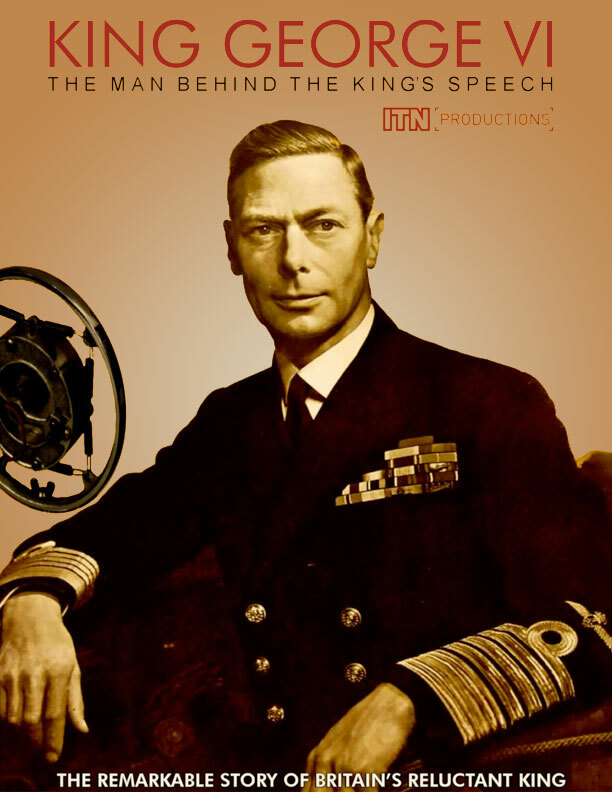 King George VI: The Man Behind the King's Speech is the definitive story of the man who overcame his own failings for the sake of his nation. When his older brother, Edward VIII abdicates the throne to marry Wallis Simpson, nervous-mannered successor George "Bertie" VI is plagued with shyness and a speech impediment when speaking to his subjects. It is the true story of an introvert and humble man whom events and circumstances made him become an inspiration for the British nation during their war with Hitler's Germany. The program brings the story up to date with the success of the film's premiere and at the major award ceremonies culminating in the Academy Awards of February 2011. Featuring original footage of King George VI's reign, including the King's Coronation speech, state visits and reminisces from the people who met the King, this unique documentary blends the past with the future and explains the story behind the film with contributions from the film's director, Tom Hooper, its stars, Colin Firth and Helena Bonham Carter, and an in-depth interview with the grandson of the King's speech therapist Lionel Logue. An extensive overview of King George is provided by British television's Royal Correspondent, Tim Ewart. A recognized broadcaster with over twenty year's experience, Tim will be anchoring the television coverage of the forthcoming Royal wedding of William and Kate. The release of newly made program is scheduled to coincide with the award-winning film The King's Speech. 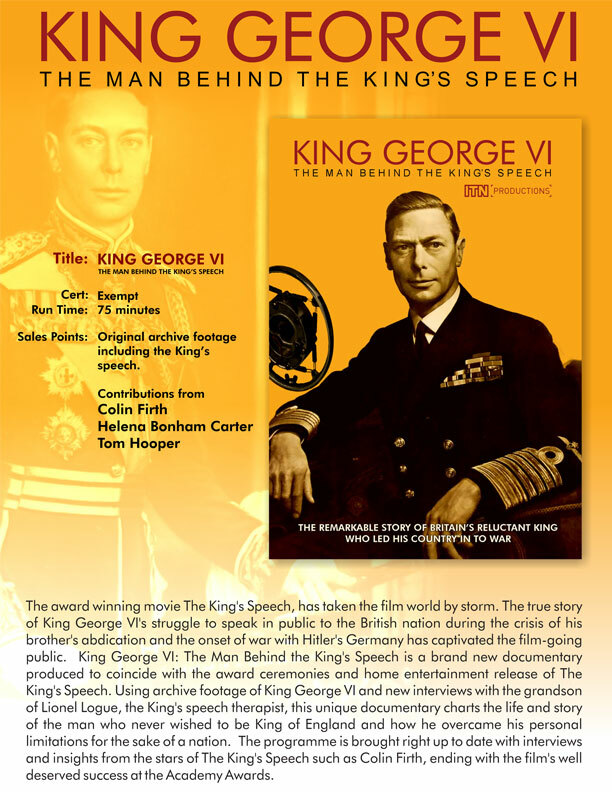 Made by A2B Media, this documentary highlights the true story of King George VI's incredible reign as King of England.